Much revered by avant-garde jazzistas and left-field music aficionados more generally, guitarist Marc Ribot does not like to fit into any neat category and has recorded in a variety of contexts including a decade ago an off-beat Cuban tribute of sorts with his band Los Cubanos Postizos (The Prosthetic Cubans), paying homage to the great composer and musician Arsenio Rodriguez. 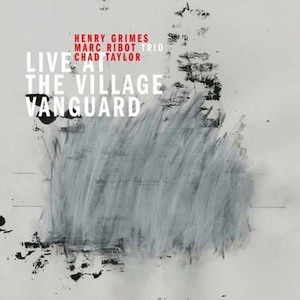 However, for this live recording, that features Henry Grimes on bass and violin, and Chad Taylor on drums, the music veers between the avant-garde and more traditional reworkings of the Great American songbook which is quite a musical landscape for any listener to take in. Albert Ayler’s work is an acquired taste for some, though a nonetheless rewarding one at that, and a titanic nineteen minute rendition of ‘Bells’, with strummed guitar intro, hints at what Jimi Hendrix might have sounded like in a freer jazz context and even begs comparisons with the latter’s anthemic ‘Star Spangled Banner’. Jazz-rock fans will be in their element on the other Ayler cover, ‘The Wizard’, which is performed at a manic tempo and with strong blues-rock hues, though in its experimental musings hints at the work of Sonny Sharrock. By contrast, Rodgers and Hammerstein’s ‘Old Man River’ reveals a far more sensitive side to Ribot’s playing and a love of the standards tradition that may surprise even long-term fans of his work, and this is further emphasized on ‘I’m confessin’ (that I love you)’ which, in its lengthy guitar solo intro and overall approach, recalls the laid back melodic sound of the mid-1950s and early 1960s west coast jazz scene. Another lengthy ballad, ‘Dearly Beloved’ which is over fifteen minutes long, features some delicate guitar musings from the leader which have a flamenco undercurrent while elsewhere in the phrasing there are equally echoes of the lyrical Santana. John Coltrane’s ‘Sun Ship’ in a jazz-rock idiom does not quite come off for this writer, but develops from a breakneck speed guitar intro into a drum and guitar duet. One looks forward to future musical adventures from Marc Ribot and a second instalment of los Cubanos Postizos would be very welcome indeed.